26 OctShould I move onto e-invoicing? 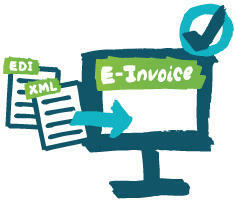 E-invoicing is an electronic exchanging of invoice information between businesses. In comparison to the traditional invoicing method, where it is paper-based, labour intensive and prone to human errors. E-invoicing enables businesses to streamline procurement and payment process by integration between seller’s accounts receivable and buyer’s accounts payable. All of the above ultimately lead to higher operational costs. Nalinee Chinowuthichai is the co-founder of InvoiceInterchange, Singapore’s first invoice trading platform, where SMEs can flexibly manage their cash flow by selling invoices to a network of investors who compete to provide cash advances.